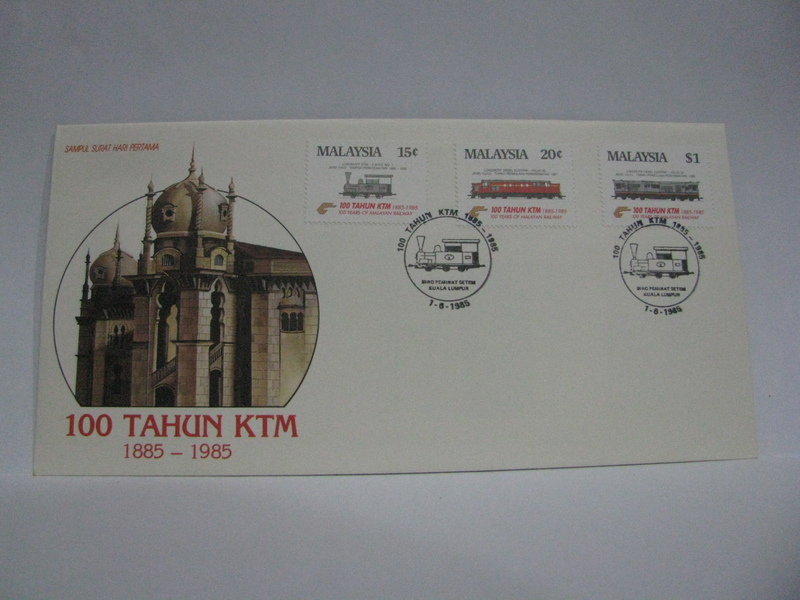 This FDCs were cancelled in Kuala Lumpur. 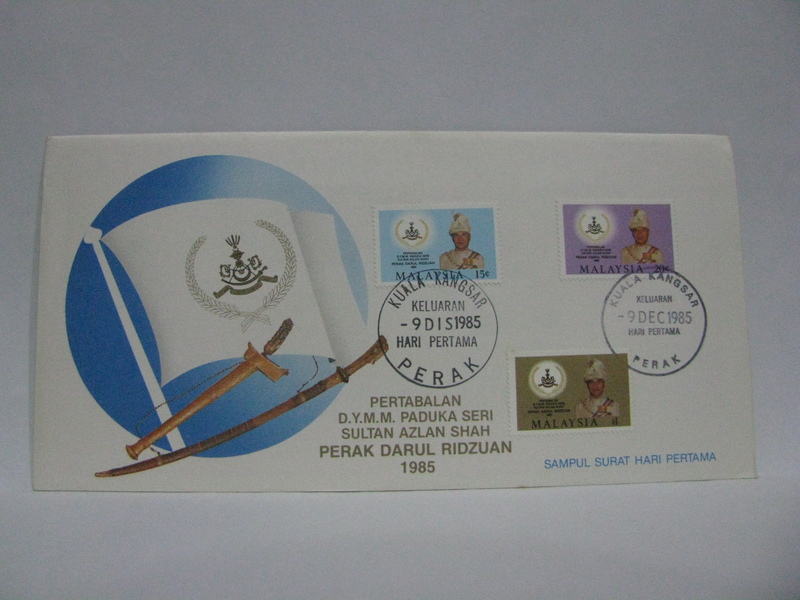 This FDC was cancelled in Jalan Sultan. If you read the whole cancellation, it comes up to Jalan Sultan, Selangor. 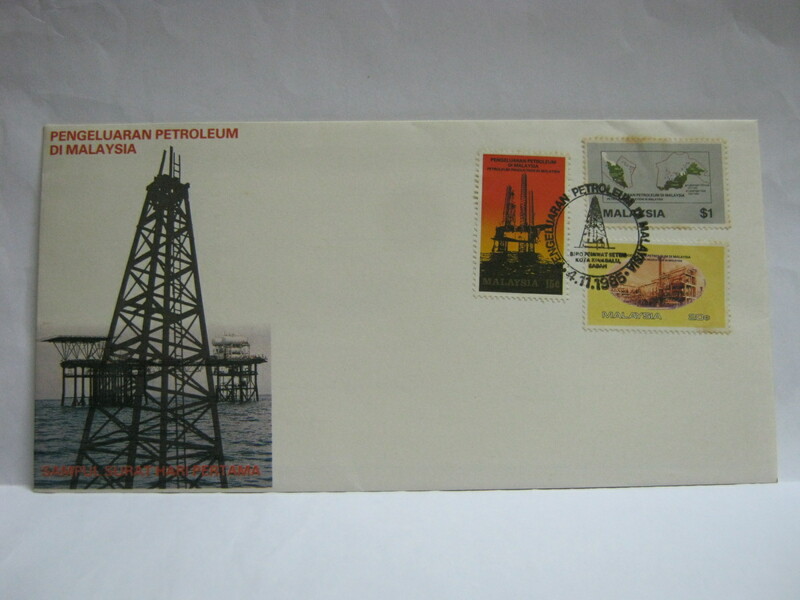 Cover 1 was cancelled in Pulau Pinang. 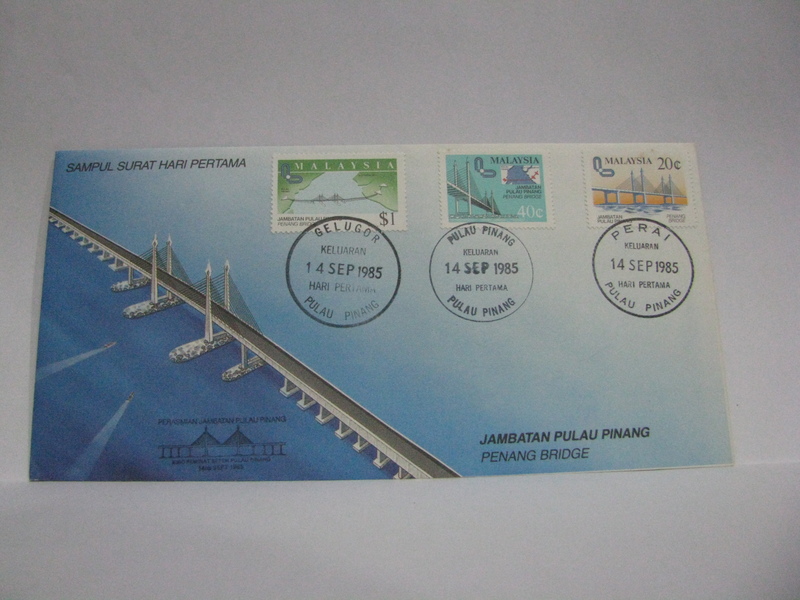 The opening of the Penang Bridge was actually changed from 15 September to 14 September 1985. 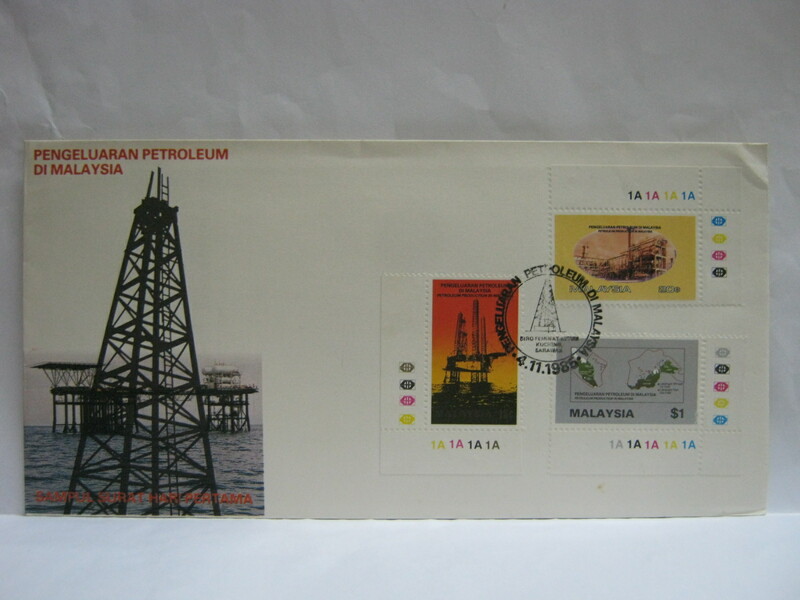 As the blank covers were very quickly sold out (in those days covers are sold earlier than the stamps), a reprint of the envelopes with the new date of issue on the second print brochures were released to the public. 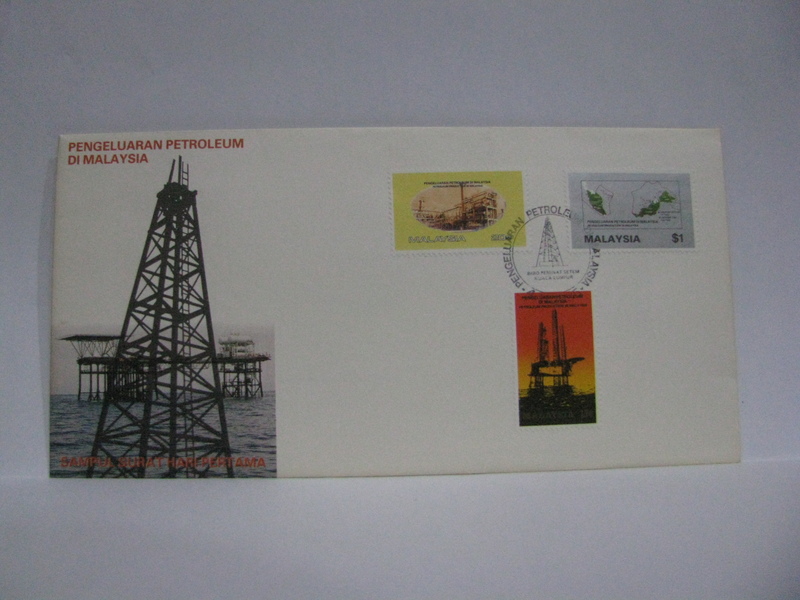 Cover 2 is an extra special cover with the cancellations from Gelugor (the location of the bridge on the island), Pulau Pinang (the island’s official normal cancellation), Perai (the location of the bridge on the mainland) and the Pulau Pinang philatelic pictorial cancellation. Cover 2 is getting scarce as the available covers in the market are very quickly snapped up. 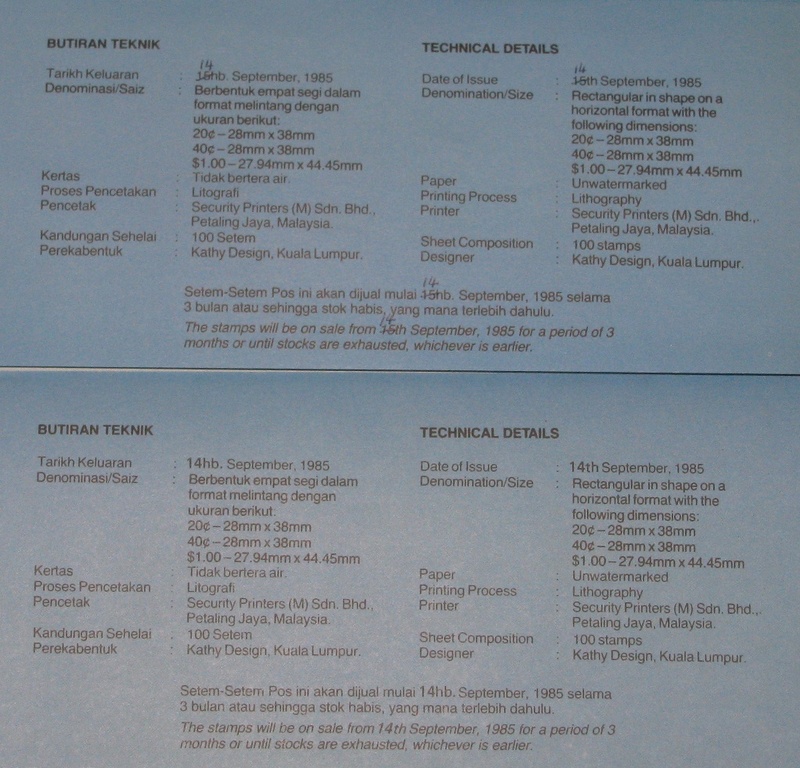 Here is a comparison of the original brochure and the second print brochure. 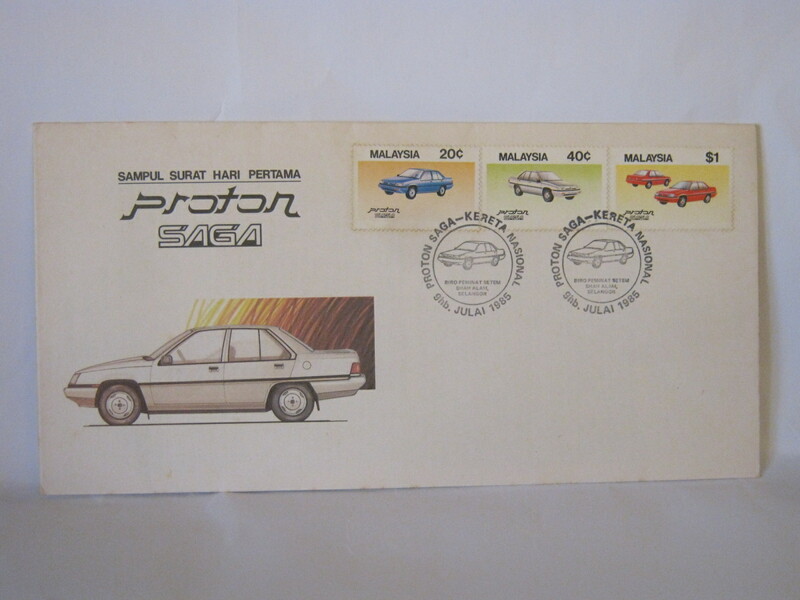 The original brochure is common throughout Malaysia. 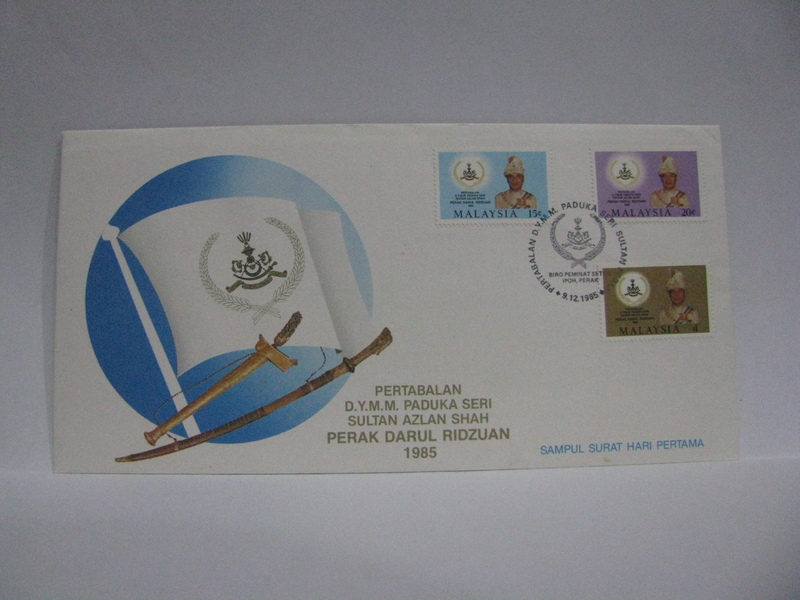 The second print brochure is common in Penang but uncommon outside of Penang. This is possibly due to the stocks being diverted to Penang due to the heavy demand. 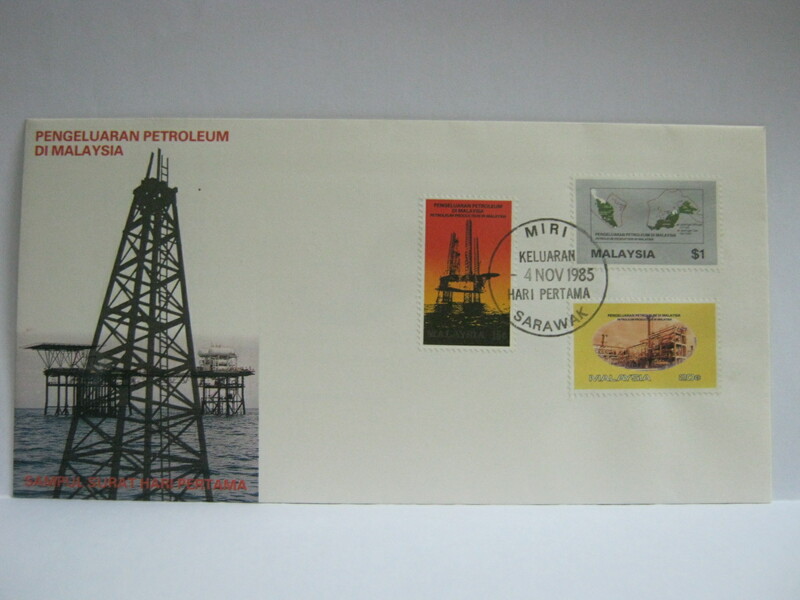 This FDC was cancelled in Port Dickson. 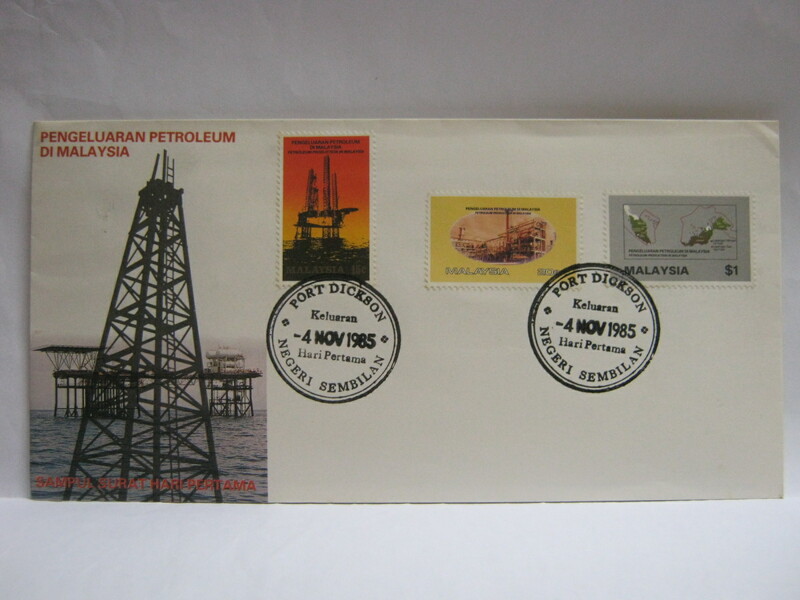 This FDC was cancelled in Miri. 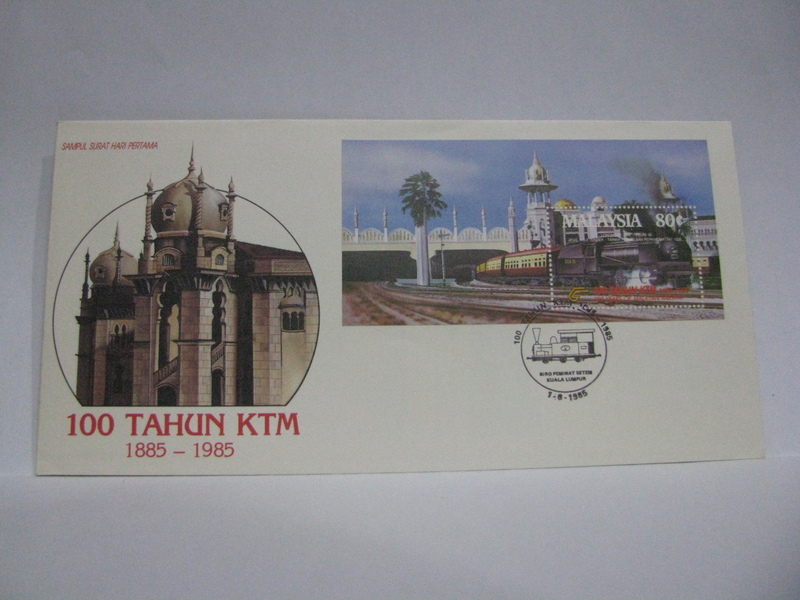 This is an interesting FDC cancelled in the royal town of Kuala Kangsar. Notice the different date stamps? The difference is not just in the size but the language on the dates (Malay language on the left and English language on the right). 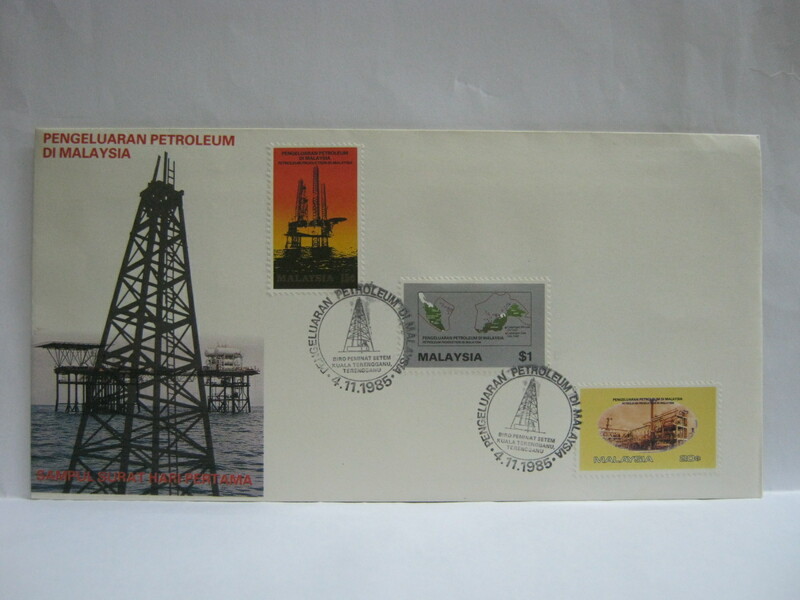 Many years ago a Chinese business colleague presented me with a first day philatelic numismatic cover for the opening of Penang Bridge. The stamps are $1; 40c and 20c. Also a 24K gold on Bronze coin attached. 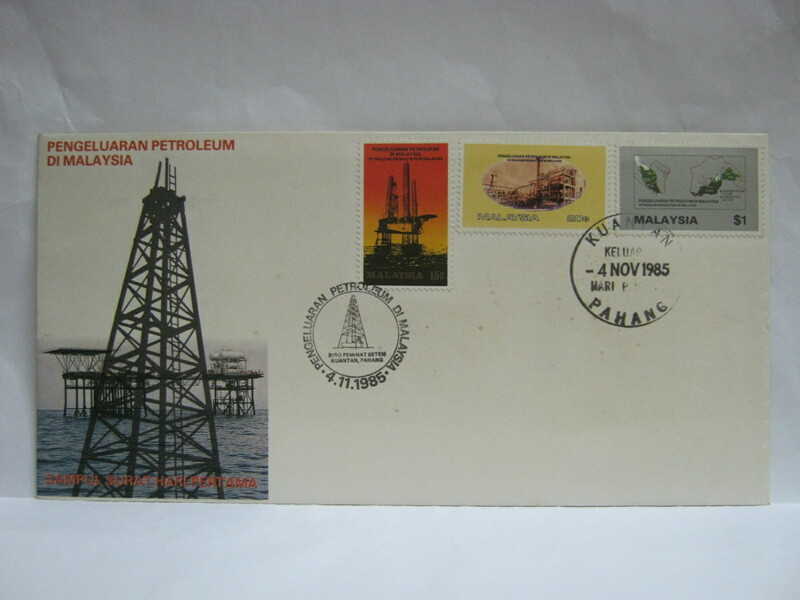 Cancellation date is 14th Sept 1985.Perasmian Jambatan Palau Pinang. I would be interested in selling if I could get a valuation. 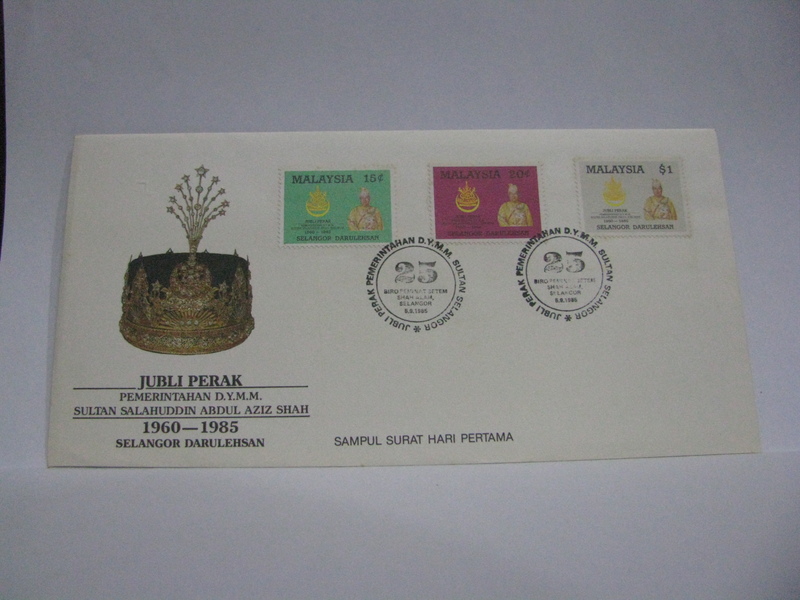 It was a fad in the 1980s to issue a Philatelic Numismatic Cover. They are issued in smaller quantities by private enterprises. It is usually put in a folder with an accompanying certificate. Typically it trades around USD 15 – USD 25 depending on the condition of the cover and completeness (folders and certificates). 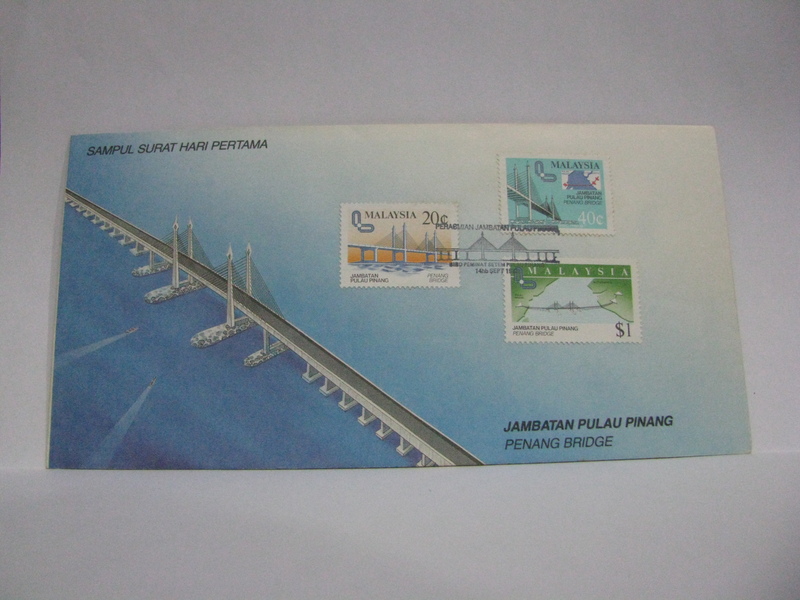 Are all the Penang bridge covers with Sept chopped forgery? The general consensus was that the “SEPT” cancellations are possible forgeries. They do not display the similar characteristics of a genuine circular cancellation. Genuine cancellations usually display characteristics of inconsistent thickness of the circle, minor misalignment of the date and inconsistent inking. “SEPT” cancellations are usually found in very neat condition and in thin circles with even inking. 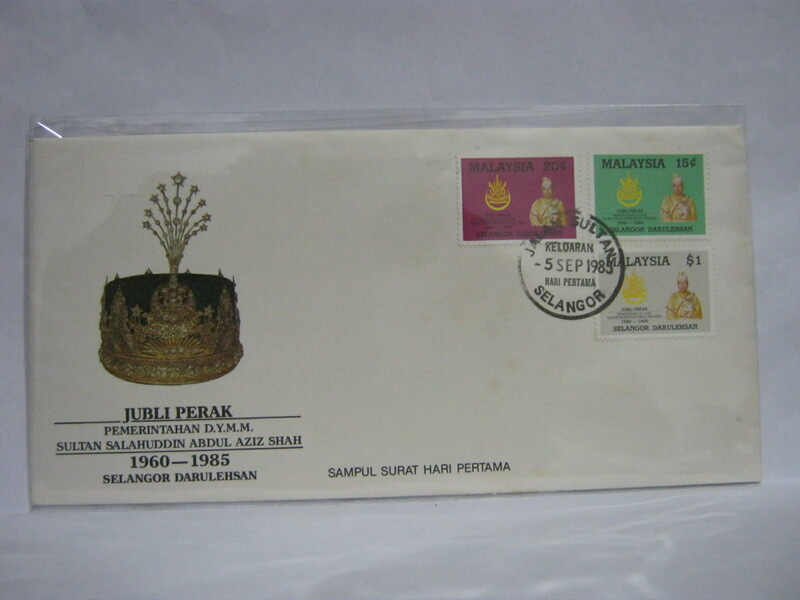 In addition, FDCs sent via registered mail on the same day are using “SEP” and none seen with “SEPT” thus far. This was the main contention that “SEPT” are forgeries. 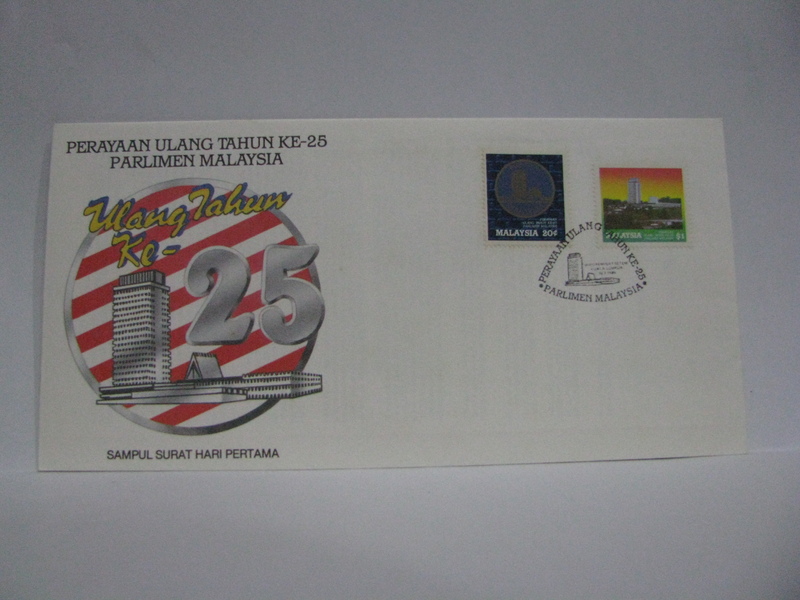 There are no solid evidence however it is a general agreement as English words are not used in the postmark in as far as is recorded in Penang.